Handmade Detroit | Did You Miss Out on the DUCF Sweatshirts Again? Did You Miss Out on the DUCF Sweatshirts Again? 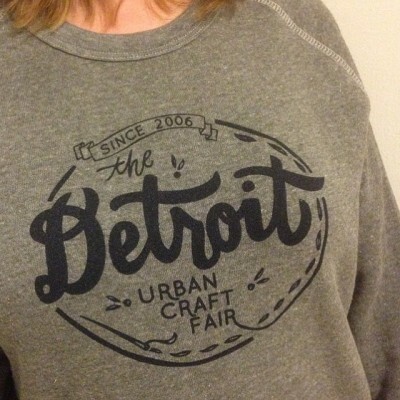 We’ve had so many people ask, I thought I’d let you all know – we will have more of the fav Detroit Urban Craft Fair sweatshirts again at DUCF in 2016! We have sold out of these crazy cozy shirts the past two years, but we promise we will bring them back. These shirts and all of our other DUCF & Handmade Detroit shirts are printed by our long-time sponsor, ESP Printing. As always, thank you to Scott at ESP and also to Marcy Davy of All Things Grow for designing our DUCF logo!